Microsoft tells that 1.4 billion people in the world use Windows operating system. There’s no doubt that it’s among most popular personal computing platforms nowadays. However, every single day hundreds of thousands of users have to deal with numerous errors and computer-related issues. 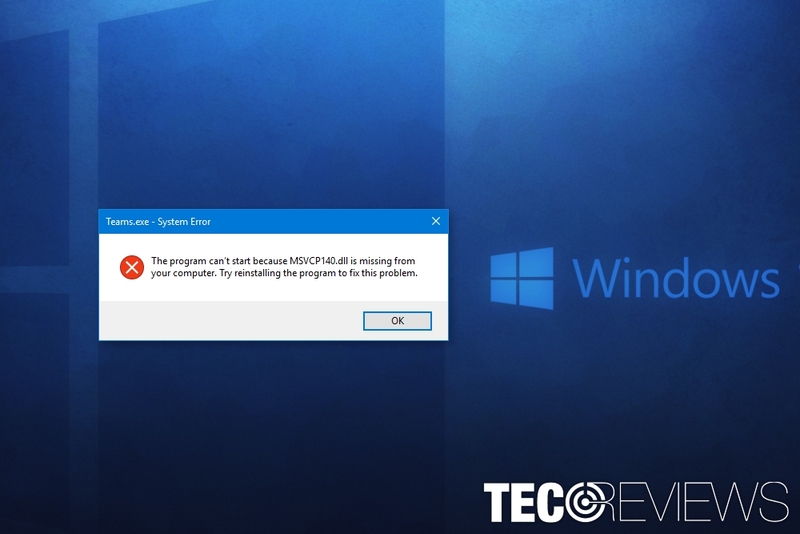 It doesn’t matter whether they use outdated Windows XP or the recent version of Windows 10, errors like “MSVCP140.dll is missing” prevents from having the best experience. MSVCP140.dll is Missing Error might bother all Windows OS users. MSVCP140.dll is Missing Error is one of many similar DLL errors that prevent programs from launching or running smoothly due to the missing file. DLL is an abbreviation of Dynamic Link Library. 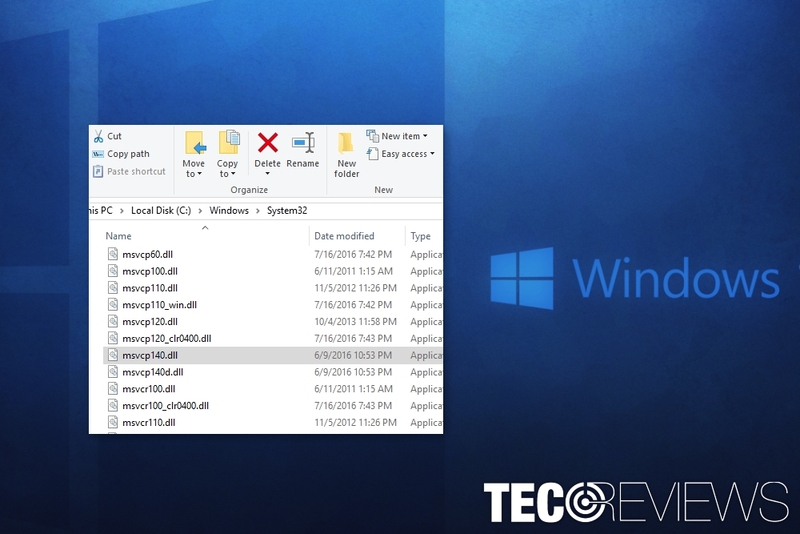 These files are important component of the programs that are running on Windows operating system. They include particular tasks or information that software needs. However, multiple programs might use the same DLL file to perform a particular task, for instance, printing or exporting files into different formats. Due to this reason, DLL files might get corrupted. MSVCP140.dll is a file that belongs to Visual C++ Redistributable for Visual Studio 2015 which is responsible for running applications created with Visual Studio 2015. As we have already mentioned, the multiple usages of the file might get it corrupted. “MSVCP140.dll is missing” error might occur if particular software damages the file. Usually, it’s enough to install available updates to solve the error. The “MSVCP140.dll is missing” pop-up might occur when you launch any program. However, users report that the most of the time the error appeared when trying to run a game, using WordPress or Skype. Skype is most likely to give Windows OS users a missing MSVCP140.dll error. The majority of computer users who have encountered “MSVCP140.dll is missing” error report that popular chatting and calling application Skype was the source of the problem. According to the research data, the issue was related to new Skype standards. 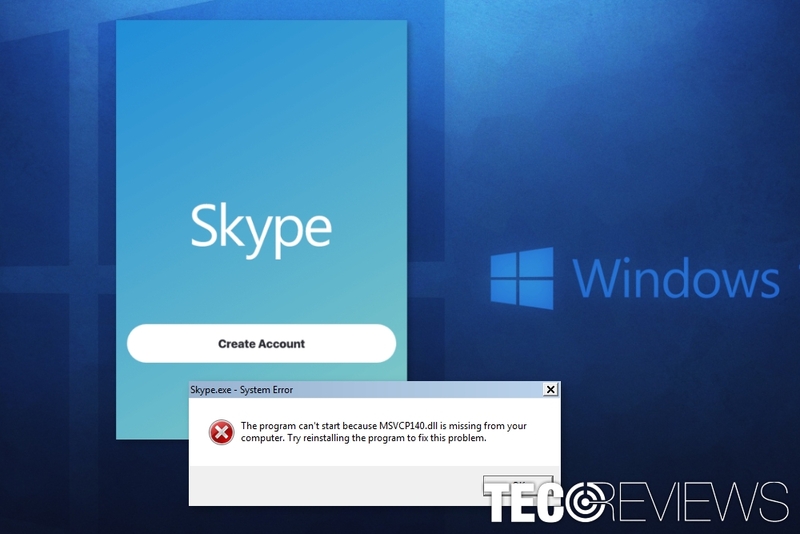 Nevertheless, the error message says that you must reinstall Skype; you should try with installing updates. However, if you cannot find any available software updates, reinstallation of the software might be the only solution. We have prepared a detailed guide how to fix the problem with missing DLL library file here. Thus, if you need more information how to perform above-mentioned actions, check this article. find unknown programs, browser extensions or other apps installed without your knowledge. In this case, you should obtain a reputable anti-virus or anti-malware software and run a full system scan with it. There are many tools you can choose from; however, you should not save your money and invest in professional security software which not only cleans up your PC but also provides real-time protection in the future. Many users who got MSVCP140.dll is missing error think that the best solution to the problem is the installation of the file itself. However, it’s a very bad idea. Despite the fact that many websites and blogs suggest doing it, security specialists warn that this activity won’t give long-term results and might harm the computer. The main problem is that DLL files are a part of various programs. Thus, developers rarely allow downloading single files from the website. If MSVCP140.dll or any other .dll file needs to be fixed, the updated library is included in the software update. Thus, once you install the update, the problems related to this file are fixed. Meanwhile, if you download MSVCP140.dll from the third-party websites, you cannot be sure if it’s the latest or fixed version of it. Additionally, there’s a chance that this file is obfuscated. Thus, you might be tricked into installing ransomware, trojan or other malware. Thus, security experts highly recommend not trying to fix MSVCP140.dll is missing error in this way. ^ Usage share of operating systems. Wikipedia. The free encyclopedia. ^ Jake Doe. How to Fix MSVCP140.dll is Missing Error on Windows?. Ugetfix. How to fix a computer. ^ Tim Fisher. What Is a DLL File?. Lifewire. Tech how-to guides and tutorials. ^ Ioana Rijnetu. 13 Warning Signs that Your Computer is Malware-Infected [Updated 2018]. The Heimdal Security blog. Cyber security advice. ^ Walter Glenn. Why You Shouldnu2019t Download DLL Files from the Internet. How-to Geek. The website about technology and how-to's.